Today, more than ever, email has become an essential tool for daily use and for transferring files and communications of various types. You may have had the experience of sending an unfinished email by mistake or maybe to the wrong recipient. With this Zimlet it will be possible to undo sending and prevent the emails from being delivered. 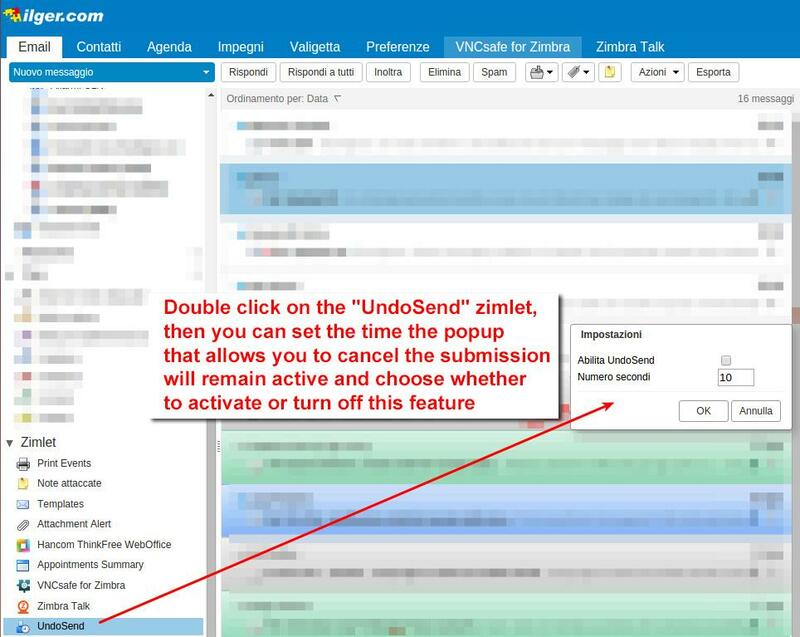 When the Zimlet is active and configured, each time you click the "SEND" button you will see a count-down pop-up of the duration that you have previously chosen allowing you to quickly "Undo". 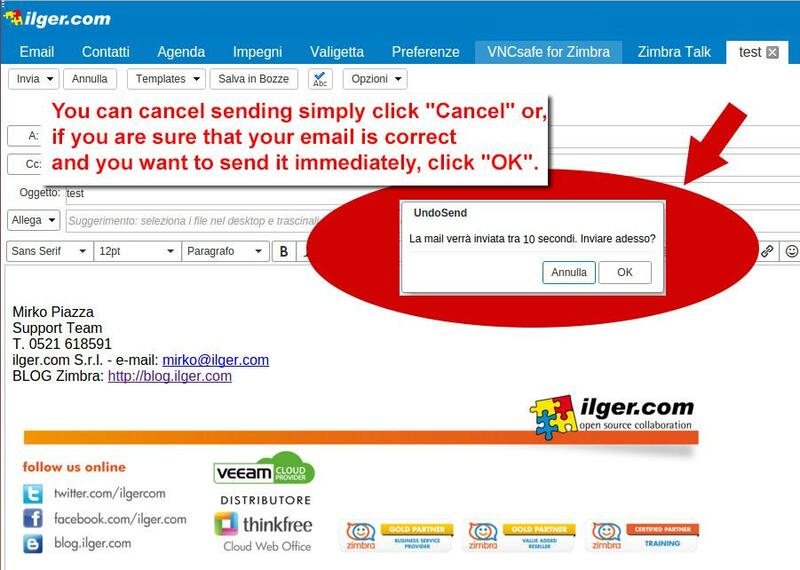 To cancel sending, simply click "Cancel"; if you are sure that your email is correct and you want to send it immediately, click "OK". This is my one of the favorite features of Gmail. And I am happy now its working by same way with my most favorite mail server ZIMBRA..
Great work! It works fine. Thanks!